Midfielder who made his professional debut in 2003 for Amica Wronki, also seeing time with Lech Poznan, Warta Poznan, and Arka Gdynia. He began his youth career with Maczki Poznan. 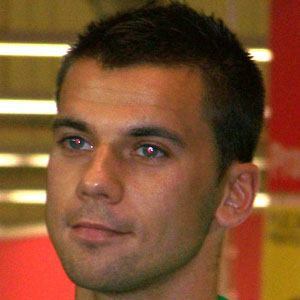 He played for Poland's under-19 team in 2006. His brother Marcin Burkhardt is also a professional soccer player. Fellow countryman striker Andrzej Szarmach also played for Arka Gdynia.